Baker Bear Now Available in a Virtual Reality Mobile App! Experience language learning using the latest in immersive media technology. We’ve transformed one of our most popular stories to virtual reality! 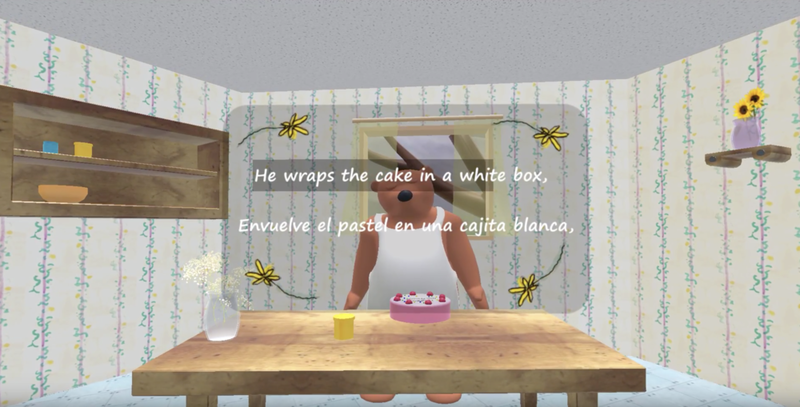 Put on your VR headsets and listen to Baker Bear Bakes a Cake, in English and Spanish, at home, in the classroom, on the road…wherever! Our VR app requires use of a Google Cardboard headset or any cardboard platform compatible device. If you don’t already have a VR headset, check out the Google Cardboard link below. You can also purchase one at Walmart, Target or any other major retailer. Once you have your Google Cardboard VR headset, go to the Google Play button below, or to the Google Play Store, and purchase the app. Simply slip your Android phone into the Google Cardboard headset and off you go!